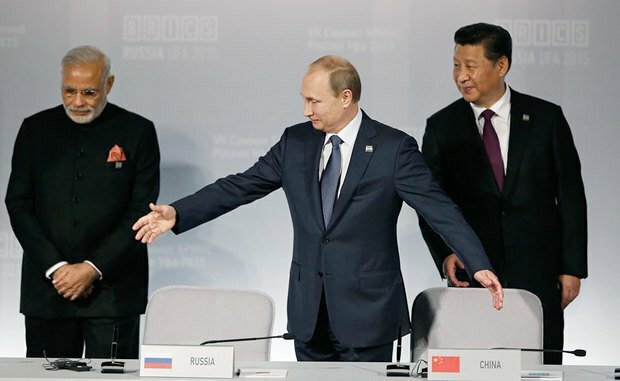 The Kremlin's short-sighted policy in the Far East has resulted in complicated relations with India, whose leadership is warily watching the rapprochement between Moscow and Beijing. At the same time, Russia continues to blackmail New Delhi with a deterioration of the situation in the region. An active struggle for arms supplies to the Indian market is taking place in parallel. In 1978, American scientists N. Neydel and O. Keith found in the right hemisphere of the human brain a special region that is responsible for the creation of a spatial map of the world. In addition, the researchers found that as a result of a pathological process in the right hemisphere, people completely lose their ability to navigate in space. Apparently, the Russian leadership lost this faculty if it decided the old Indian partner's disposition for Chinese chains. Since the 1950s, Delhi has been in the Kremlin's sphere of influence. Moscow initially perceived India as a trading platform where you can sell military products. After the collapse of the Soviet regime, official New Delhi was left alone with external threats as the supply of arms from Russia came to a halt. Over time, the Kremlin has returned to the Indian market and has continued to sell Indians military, but already outdated hardware. This situation continued until 2014, when Narendra Mori headed the Indian government. The new prime minister decided to completely diversify the economy, including by increasing the share of Western arms manufacturers in the Indian market. This step was provoked by Moscow itself, which has a tendency not to adhere to weapons delivery schedules, raise prices after the contract is signed, and deliver the defective parts. In general, following the Indian leadership's decision, Russia had to compete with countries such as the USA, France, Britain and Israel. The Kremlin interpreted the collapse of its monopoly on the supply of arms to India as betrayal. To keep its leading position in the world's largest arms market, the Kremlin began to blackmail the Indian leadership with rapprochement with one of India's main opponents, Pakistan. As is known, the confrontation between the two countries has continued since they gained independence in 1947. The main reason is that both claim the right to Kashmir, the region currently divided between India, Pakistan and China. 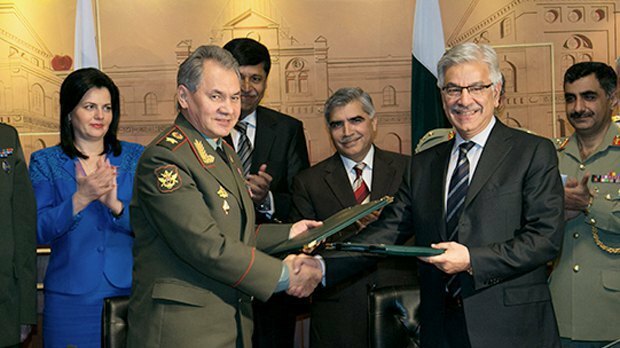 In June 2014, Russia lifts the embargo on arms supplies to Pakistan, and on 20 November, Russian Defence Minister Sergey Shoygu flies to Islamabad for talks with his counterpart Khawaja Asif. It is clear that the meeting was of declarative nature and nothing but common phrases came out of the mouth of the head of the Russian Defence Ministry: "During the meeting, we agreed that bilateral military cooperation should be more action-oriented and facilitate higher combat capability of our armed forces. The sides discussed a range of specific activities of specific interest." Over the next two years, the Russian side has declared its readiness to sell Pakistan self-propelled anti-tank missile systems Khrizantema-S and tank support fighting vehicles Terminator. They also discussed the possibility of supplying turbojet engines RD-93 for the fighter bombers JF-17 Thunder. However, these negotiations did not progress beyond the consultation phase. However, in 2016, the Russian company Rostech sold Pakistanis four combat helicopters Mi-35. Now Islamabad is willing to buy 10-12 more and expressed interest in buying the Su-35M fighters. Thus, as the Kremlin explains, Russia is helping the Pakistani authorities to fight terrorism. According to the press secretary of the Russian president, Dmitriy Peskov, "Pakistan is one of the key countries in fighting terrorism. Russia considers cooperation with Pakistan in this sector to be very important." Meanwhile, India is wary of this partnership. New Delhi believes that by supplying weapons, Russia reinforces Pakistan's position in the region. However, the Indians are afraid not of the nascent military cooperation between Russia and Pakistan, but of the rapprochement between Moscow and Beijing. Historically, relations between India and China have been cool, if not hostile. China is stepping up its military presence on the border with India in the hope to bite off a part of its territory and thus heed the separatist aspirations of Uighurs and Tibetans. The financial expansion of China in the countries neighbouring on India could result in a loss of leadership by New Delhi in the Indian Ocean. In addition, close military and economic cooperation between China and Pakistan threatens the integrity of the Indian state. Russian President Vladimir Putin welcomes Indian Prime Minister Narendra Modi (left) and President Xi Jinping (right) at the BRICS summit in Ufa, 9 July 2015. Of course, Prime Minister Modi understands what risks the rapprochement of China, Russia and Pakistan carries for his country. That is why, to prevent this triangle from taking final shape, he decides to usher his own state into the Shanghai Cooperation Organisation (SCO). New Delhi has finally realised that it should be looking for a replacement to Russia. In 2014, immediately after the Indian leadership made a decision to diversify arms imports, the USA sidelined Russia and became the main supplier of arms to India. In subsequent years, the Russian Federation once again went into the lead thanks to the confirmation of previously concluded contracts for the supply of large quantities of military equipment. So, over the past three years, the total amount of Russian defence contracts with India has exceeded 5bn dollars. The United States is second by a small margin, the amount of transactions reaching around 4.4bn dollars. 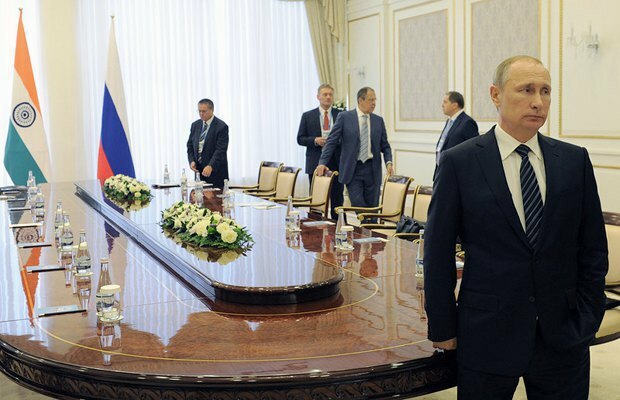 According to the Centre for Analysis of World Arms Trade, by 2017, Russia will retain the leadership. But its share in the Indian market will fall from the current 57 per cent to 27-30 per cent. On the contrary, the United States will increase its arms exports by 20 per cent. These figures are due to the fact that the quality of Russian military hardware is times inferior to that made by the USA. A striking example of this are tenders lost by Russia. 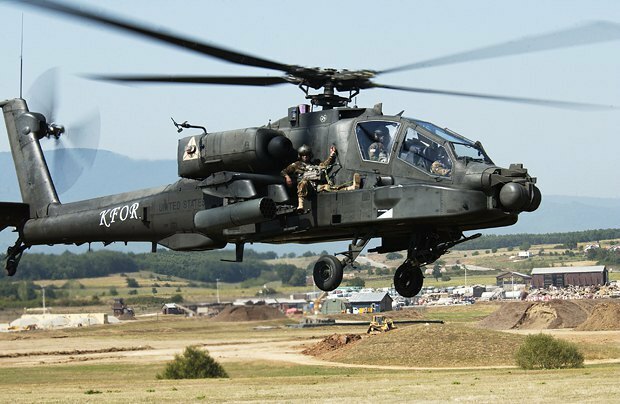 For example, Indians prefer the US assault helicopters AH-64E Apache to the Russian Mi-28. Another failure is the lost tender to supply heavy transport helicopters: Mi-26 lost to the US CH-47F Chinook. It is known that the US anti-submarine aircraft P-8 sidelined the Tu-142 while the Il-476 transport aircraft lost to the US C-17 Globemaster. The joint Indian-Russian project to build a fifth-generation fighter, for which no-one harbours any hope, is also facing the threat of disruption. It has been eight years since the launch of this project but the final contract for the construction of the aircraft has not been signed. First, the Indians complained of weak engines, then they criticised the fighter radar and stealth system. Today, the Indian side increasingly more often thinks about winding the programme up and buying the US fighter F-35 instead of the Russian one. If India quits the project, Russia will have to cut the production of the next-generation aircraft over the lack of funds. However, Washington is offering New Delhi not only weapons which can protect the Indian border from the Chinese or Pakistani threat, but also its intercession. 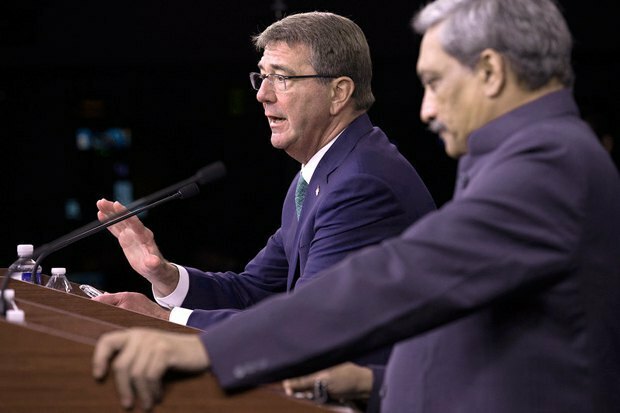 In June 2016, Washington has raised the status of India to main defence partner. As India's First Deputy Foreign Minister Subrahmanyam Jaishankar, "this status means that the approach to the issue of exchange of and access to dual-use technologies will be the same as to the closest allies, US partners." On 30 August, the USA and India signed a bilateral agreement on military logistics. As Pentagon chief Ashton Carter said: "It doesn't have anything to do with the setting up of bases. This will allow us to use bases and equipment only for operating together when we choose to." The agreement regulates the use of land, air and naval bases for the repair of equipment and restocking. In addition, despite some difficulties in its relations with Pakistan, Washington remains the main partner and financial sponsor of Islamabad. It is the American influence that can force the Pakistani authorities to abstain from rapprochement with China and stop eroding the already fragile situation in the region. In the Far East, there is a struggle for influence between the USA and China, and there is no place for Russia in this theatre of global politics. At the same time, the Russian Federation found a way to maintain its position in the Indian arms market in the short term. In 2014, Narendra Modi offered his country a new concept, "Make in India". Under this initiative, over the next 10 years India is expected to become a leading arms exporter. So, it is planned that by 2025, the country will have hit the annual sales of 3bn dollars. However, in order not to waste time on setting up an industrial base needed for this purpose, New Delhi put a critical requirement to arms suppliers: access to the Indian market in exchange for the transfer of new technologies. Unlike the United States, France and Israel, Russia agreed to this requirement. It is interesting that Indian Defence Minister Manohar Parrikar said that his country would soon be ready to export the BrahMos supersonic cruise missiles, the Akash anti-aircraft missiles and the Tejas fighters. "As soon as the needs of the Armed Forces of India are met, we will be ready to export them," the head of the department said. As it is known, BrahMos is the Russian-Indian supersonic cruise missile developed on the basis of the Russian anti-ship missile Onyx. The Akash short-range anti-aircraft missile system is a remodelled Soviet Kub mobile surface-to-air missile system. Russian technologies are also used to produce the Tejas fighters. Also, negotiations on the joint production of Ka-226 helicopters and T-90 MS tanks are underway. Of course, in the short term, Russia will benefit from Modi's initiative, but in the long run it will lose. Once India gets the necessary technology to mass-produce weapons, it will abandon most joint projects with Russia. Moreover, in the future, Moscow and New Delhi will be competing with each other for the markets of third countries. The USA, France and Israel are in no hurry to share new technologies with India. They realise that in a few years, Russia will be able to offer only a limited list of new products in the defence industry, which were designed back in Soviet times, and that is when their share in the Indian arms market will increase. New Delhi will still be interested in buying the antitank guided missiles Javelin from the USA, spy drones from Israel and multi-role fighters from France. In addition, Russia is gradually becoming an unreliable partner for India. Back in December 2015, the Indian CAG audit agency presented expert conclusions on the operation of the Su-30MKI fighters purchased from Russia. The auditors stated that on average, out of 210 fighters operated by Indian fighter pilots, from 115 to 126 aircraft are always on the ground due to breakdowns. And according to the Indian Defence Ministry, six aircraft have been lost since the beginning of operation. Meanwhile, it became known in August 2016 that Russia had once again sold India defective fighters: this time we are talking about the MiG-29K and MiG-29KUB aircraft, delivery of which began in late 2014. The audit showed that 62 per cent of Russian engines were deemed unfit. 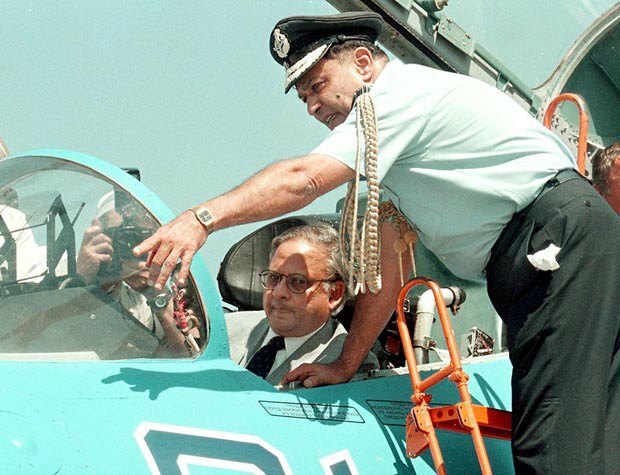 An Indian officer and India's Deputy Defence Minister Anhid Kumar at the presentation of the jet fighter Su-30MK-6, which was developed by Russia specifically for India, 15 June 1998. These cases once again showed that the notorious imports substitution programme proposed by Deputy Prime Minister Dmitriy Rogozin has failed. The reason is that to build almost all types of military hardware, Russia uses components from NATO and the EU. That is why Russian specialists cannot solve a problem: they simply do not have the required parts. After all, even in 2015, Russian Deputy Defence Minister Yuriy Borisov reported to Putin that "the country will have been able to replace only 826 models of weapons and military hardware by 2025." By now, it has only replaced parts in seven out of 127 planned items. Thus it is obvious that with each year, the Kremlin will find it increasingly more difficult to meet the Indian leadership's demand in the defence industry. The disruption of deals, the lack of spares, the transfer of technology will lead to a gradual decrease in the share of Russian-made weapons in the Indian market. And Moscow's not very clear-sighted foreign policy in the Far East will only accelerate this process.